KANSAS CITY, Mo. 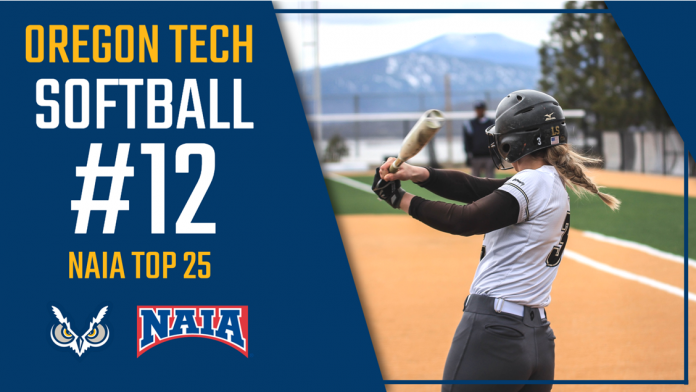 – The Oregon Tech softball team moved from No.13 to the No. 12 spot in this week’s NAIA Softball Coaches’ Top 25 Poll, announced Tuesday by the national office. Science & Arts of Oklahoma extend their perfect record to 39-0 earning them the No. 1 spot in the Top 25 for a third consecutive poll. 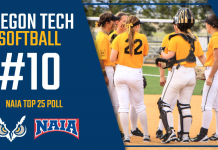 Oregon Tech now 29-11 on the season and 15-3 in Cascade Conference play are in second place in the CCC Standings just two games behind now No. 4 ranked Southern Oregon University who is 32-5 on the year and 17-1 in conference. 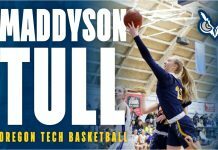 Oregon Tech will travel to Surrey B.C. to take on British Columbia in CCC action this Friday and Saturday, April 12 and 13. 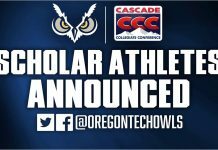 The Lady Owls will then return home April 19, and 20 for Senior weekend as they host College of Idaho. The Yotes are 28-8 on the year and just one game back of OIT at 14-4 in CCC lay.